The White House was warned in January that Donald Trump’s national security advisor Michael Flynn was vulnerable to Russian blackmail, a top former official told lawmakers Monday, as the issue of the president’s ties to Moscow returned to the spotlight. Former acting attorney general Sally Yates, a Barack Obama appointee sacked by Trump early in his presidency, took the stand alongside former director of national intelligence James Clapper during Monday’s hotly-anticipated three-hour hearing of the Senate Judiciary Committee. Yates confirmed reports that she had told the White House, six days into Trump’s administration, that Flynn, a former military intelligence chief, had not been honest with Vice President Mike Pence about his discussions with the Russian ambassador to Washington, leaving him vulnerable to leverage from Moscow. “We believed that General Flynn was compromised with respect to the Russians,” Yates told the hearing in her first public comments on the scandal which has dogged the opening months of Trump’s presidency. Yates, who was fired on January 30 after defying Trump over his contested travel ban, did not say what Flynn discussed with ambassador Sergey Kislyak in a number of December 2016 phone calls, which were secretly monitored by US intelligence. Pence said in January that Flynn denied those calls involved sanctions placed on Russia by the Obama administration in response to its election meddling. Trump has repeatedly branded the issue of Russian interference “fake news” despite the US intelligence community’s conclusion that President Vladimir Putin himself was behind the meddling. In a series of tweets Monday evening, Trump doubled down on that stance. “The Russia-Trump collusion story is a total hoax, when will this taxpayer funded charade end?” fumed one post, while in a second the president targeted Yates—claiming she had “said nothing but old news!” after earlier assailing her for allegedly leaking classified information. Known as a tough and independent prosecutor, Yates has been a target of Trump’s ire since her refusal in January to support his controversial immigration ban on nationals from several Muslim-majority nations—for which he fired her. Yates’ comments came after former Obama officials revealed that the outgoing president himself firmly warned Trump against naming Flynn as national security advisor, just two days after the November 8 election. 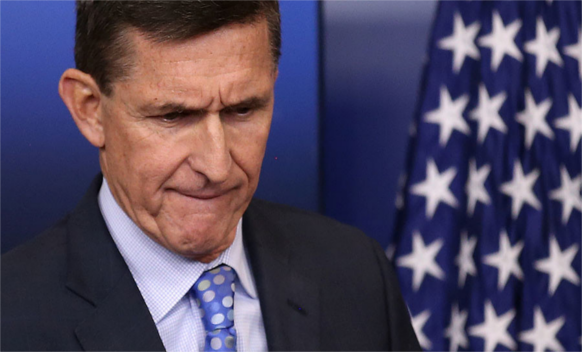 Obama had cautioned against Flynn, whom he fired in 2014 as head of the defense intelligence agency, due to his poor record in administration and personnel management. “I believe they’re now emboldened to continue such activities in the future, both here and around the world, and to do so even more intensely,” he said. The dual testimony by Yates and Clapper returned the spotlight to the simmering controversy over Russia’s meddling in last year’s US election.